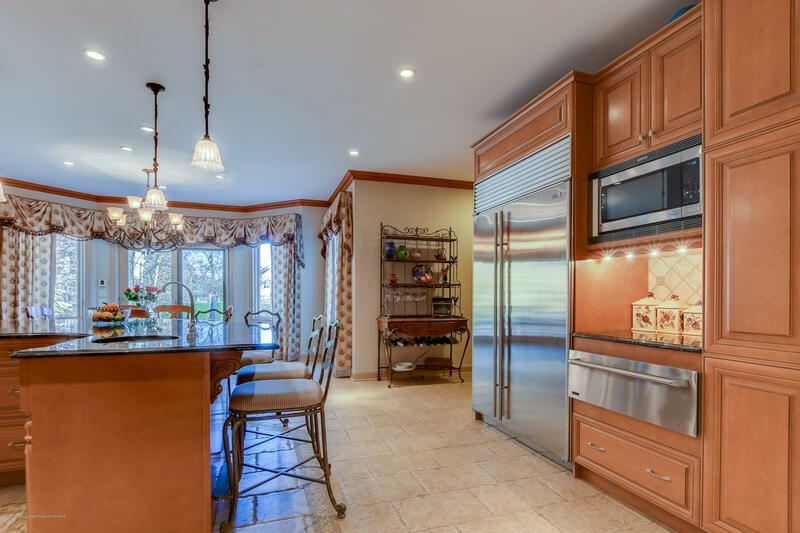 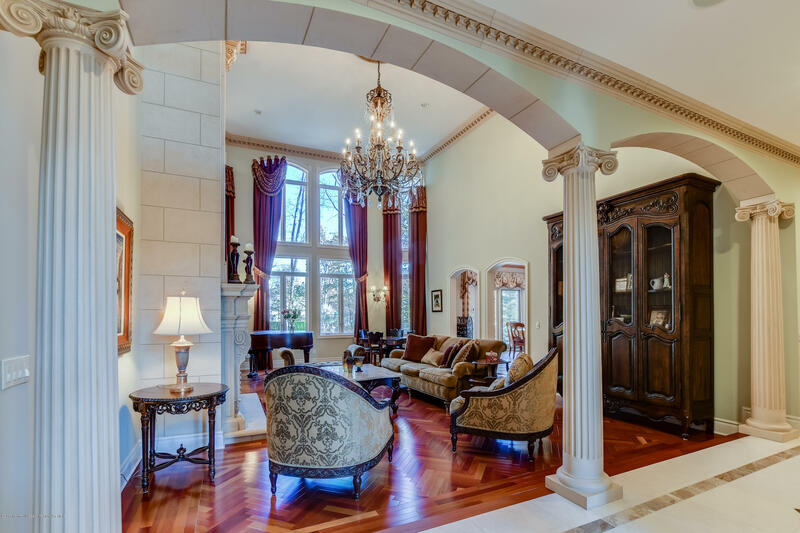 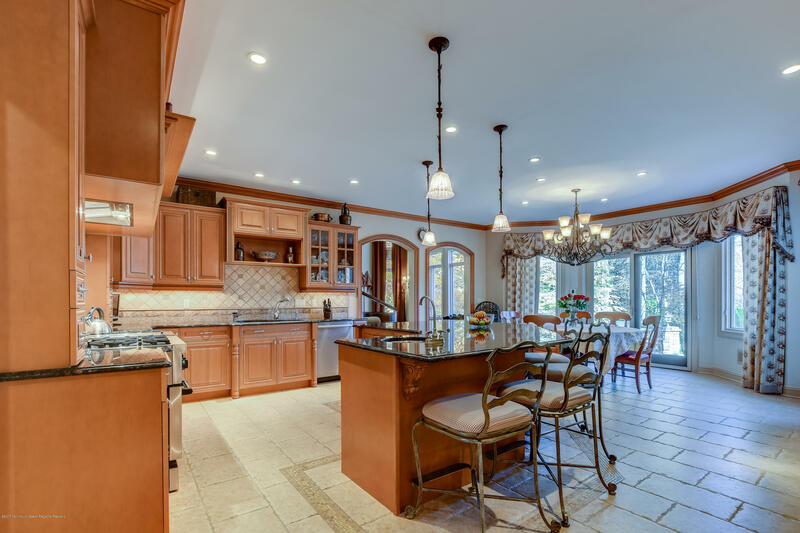 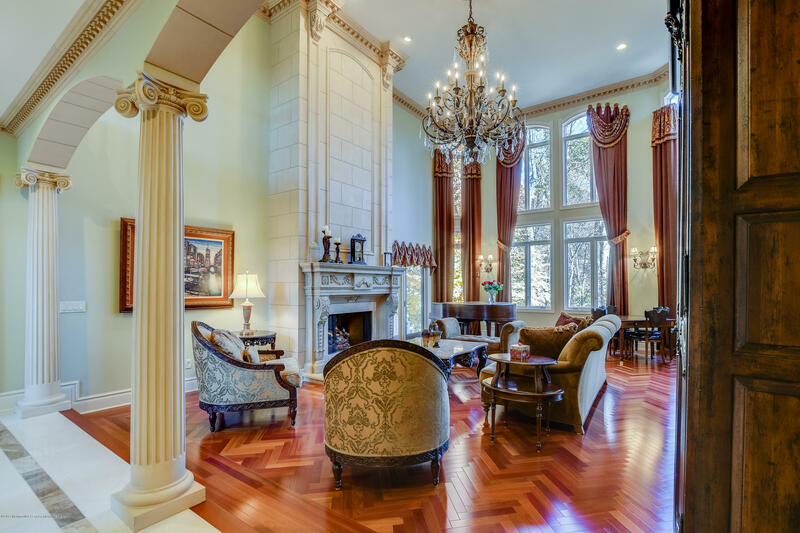 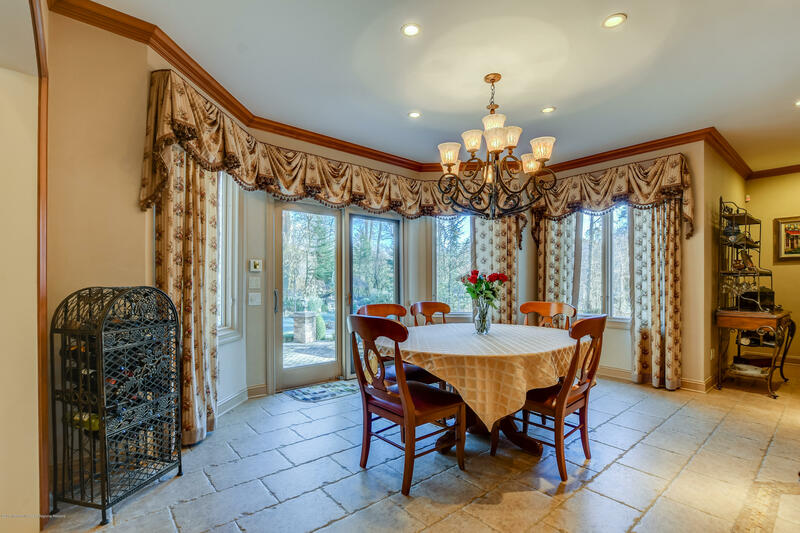 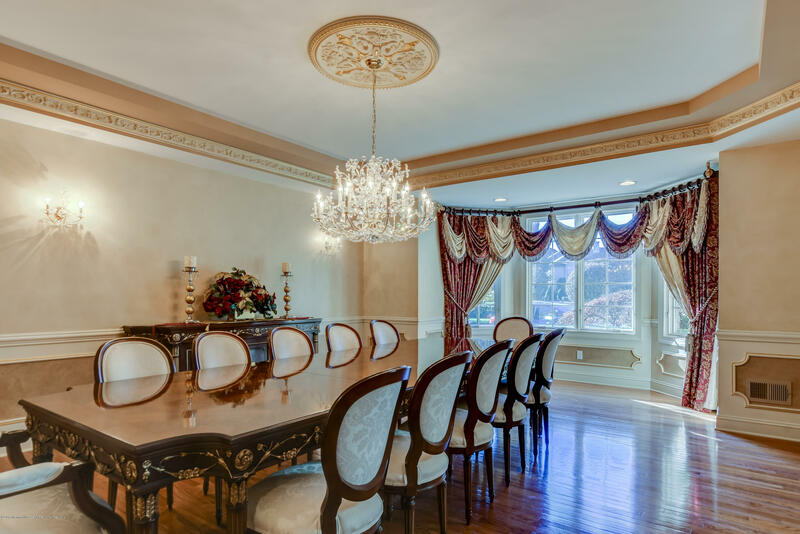 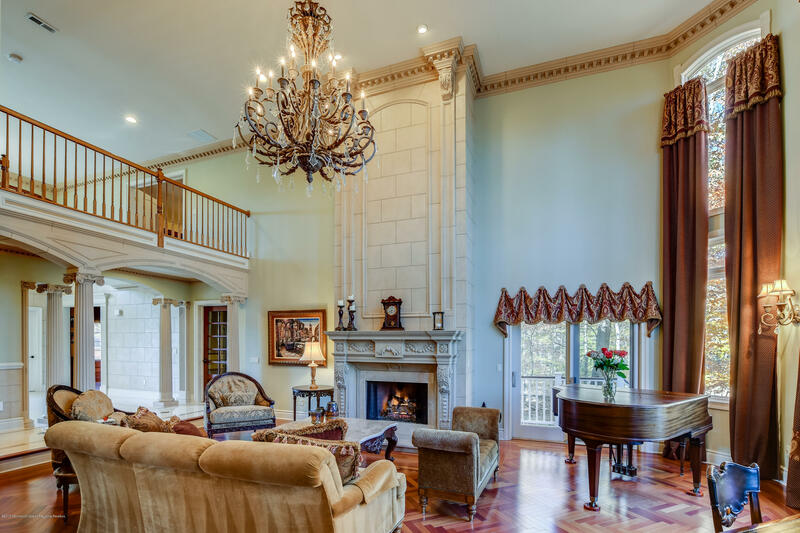 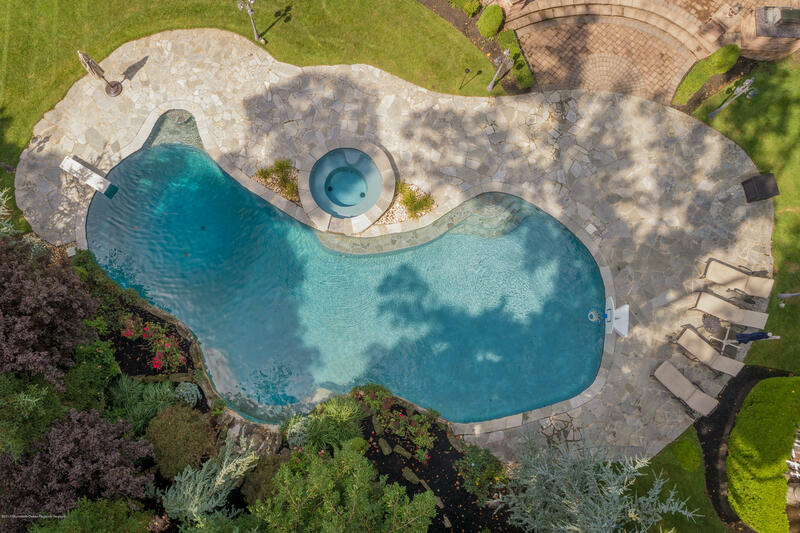 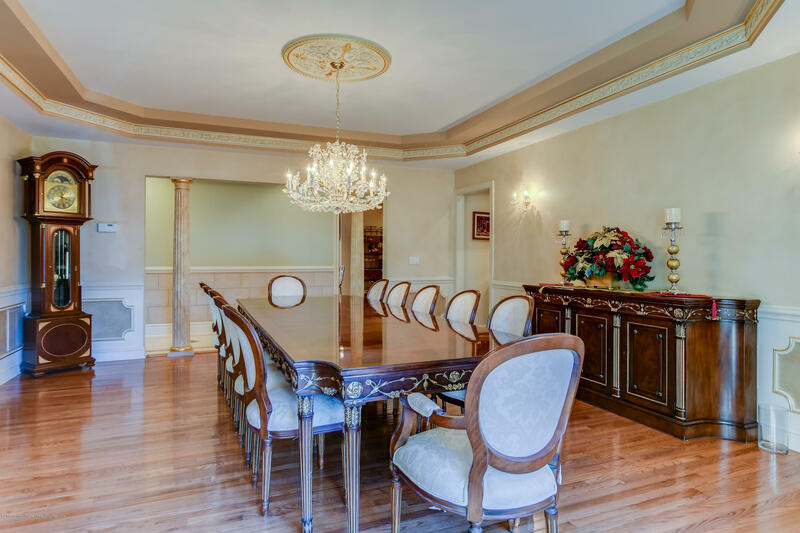 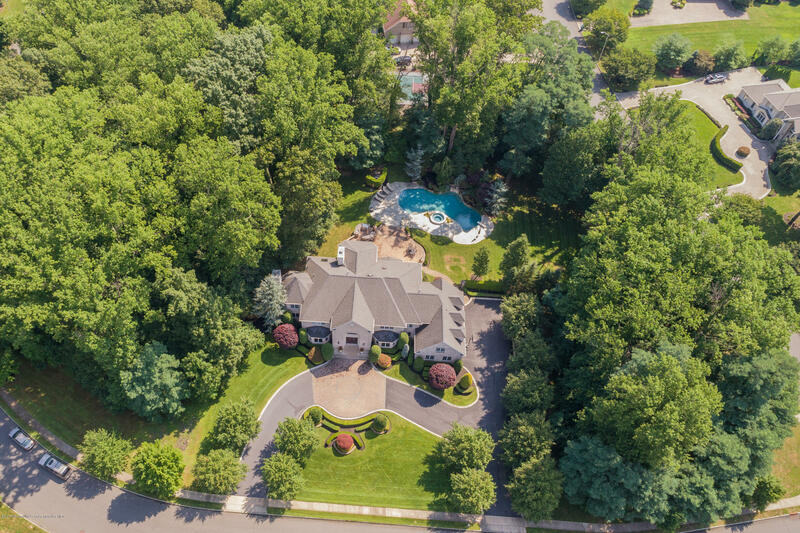 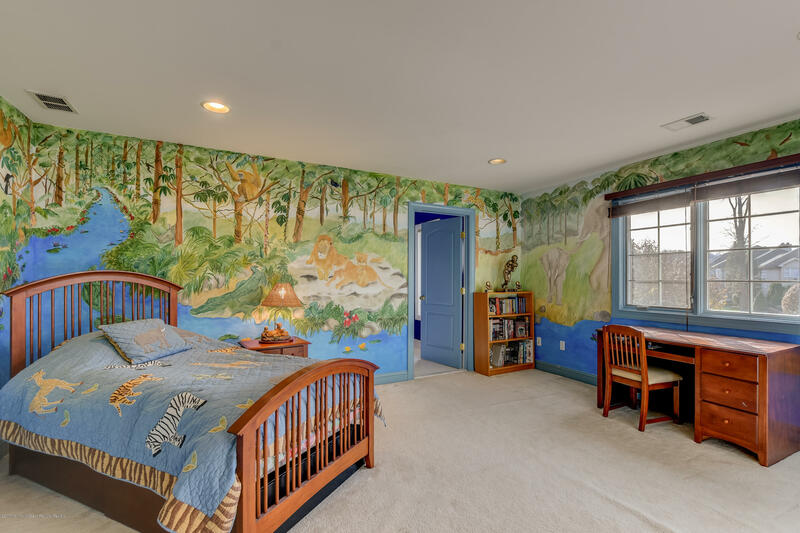 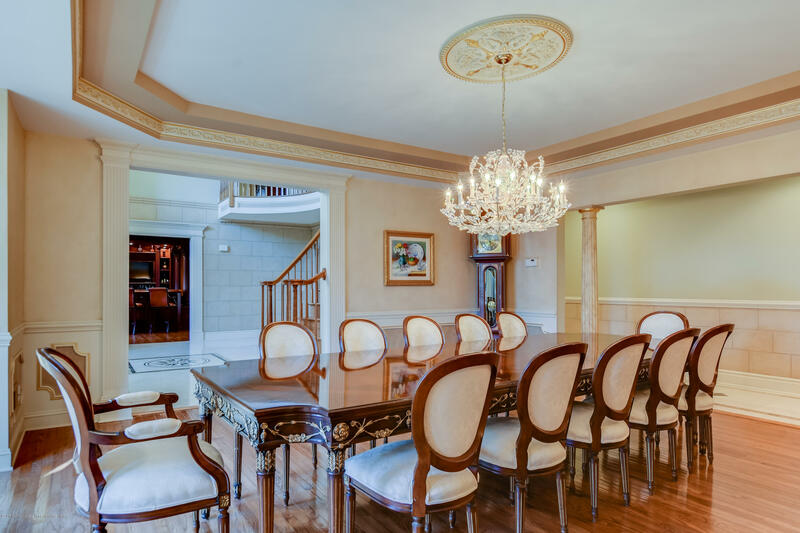 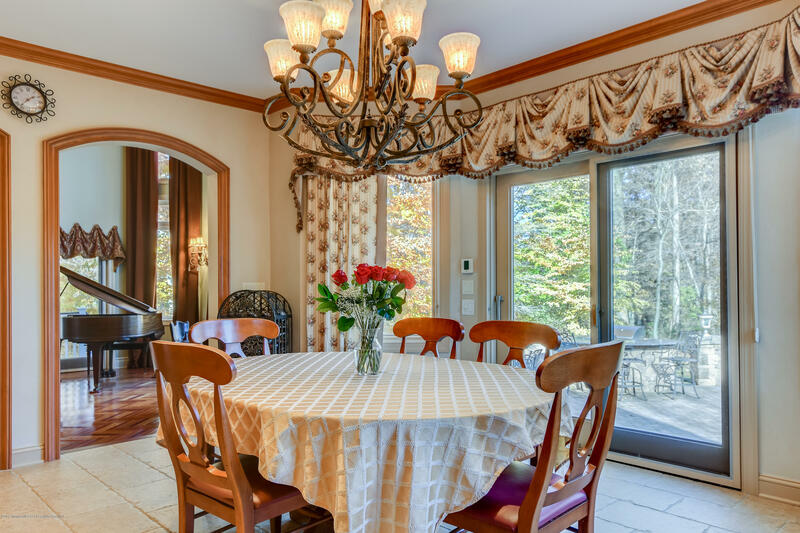 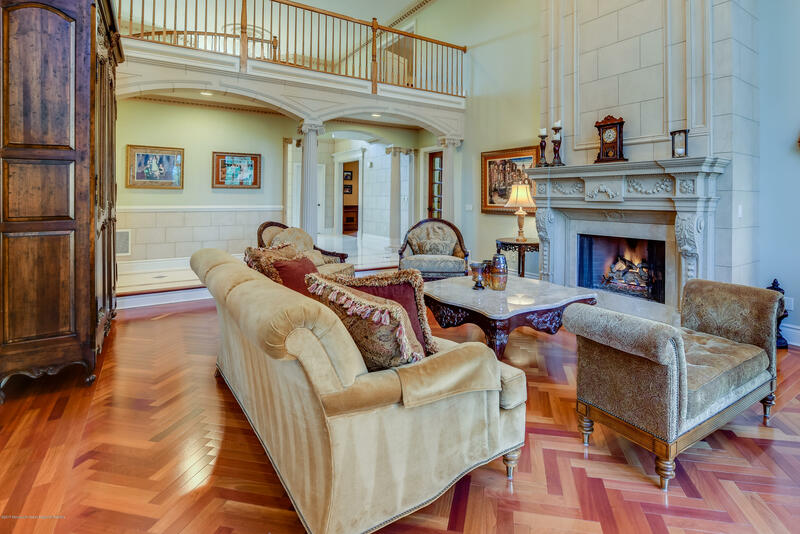 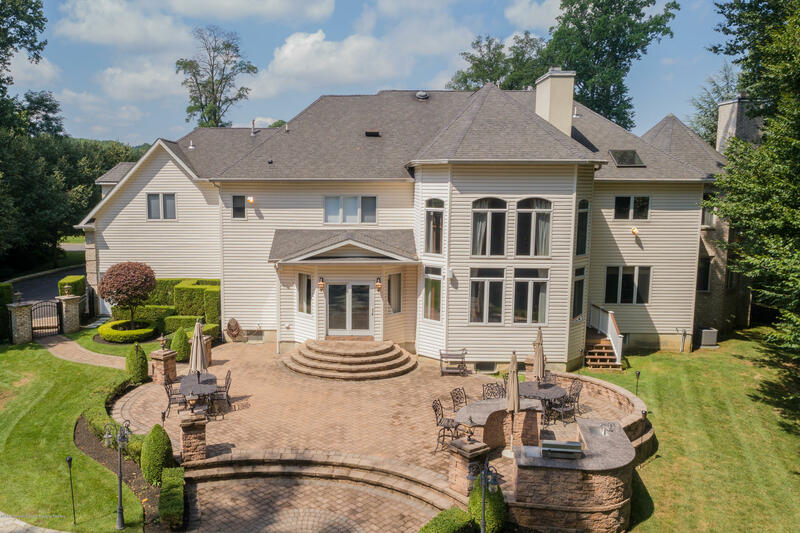 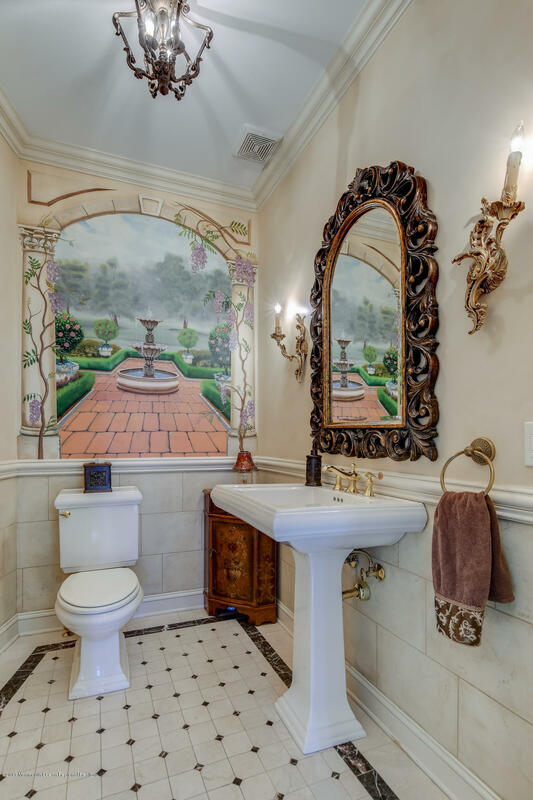 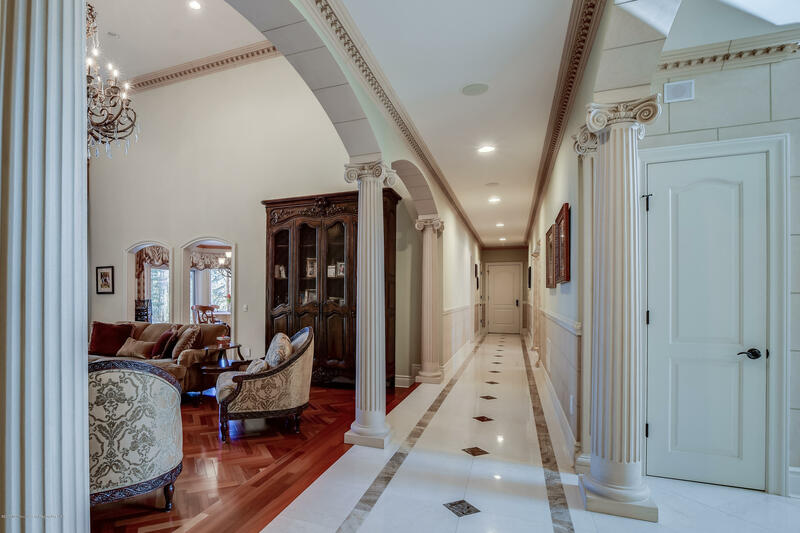 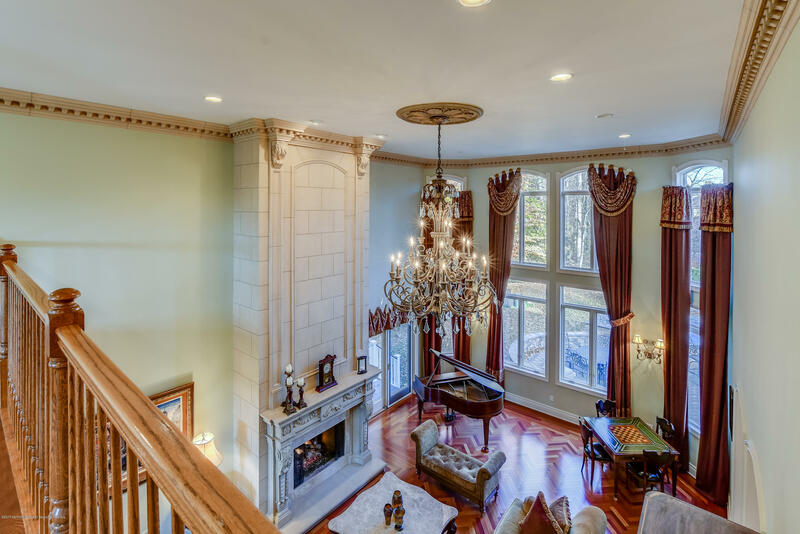 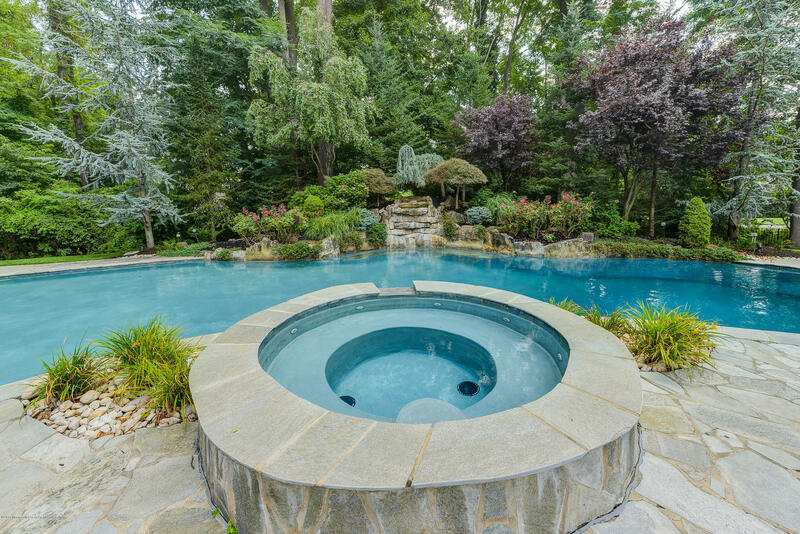 Majestic Center Hall Colonial Estate set on 2.5 acres in the exclusive Holmdel community ''The Gables''. 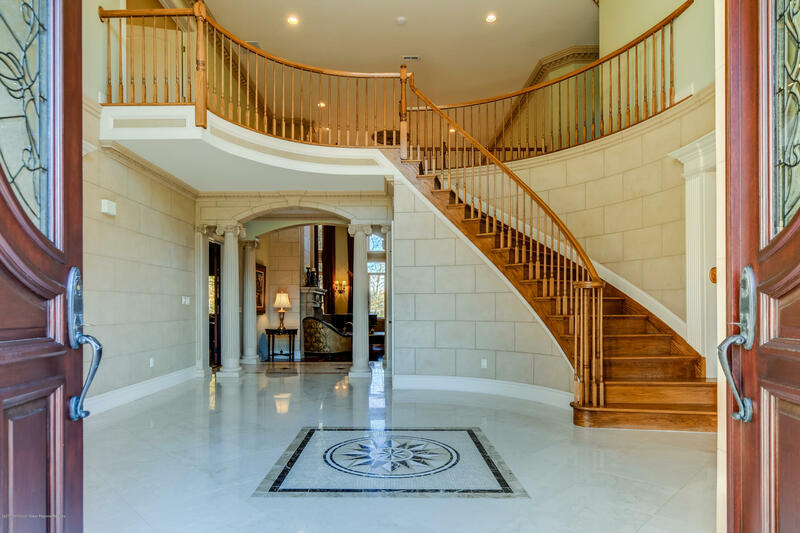 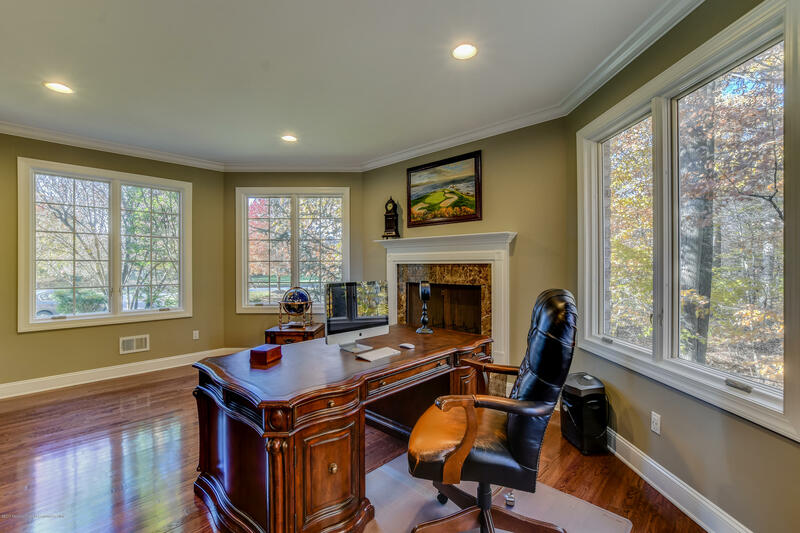 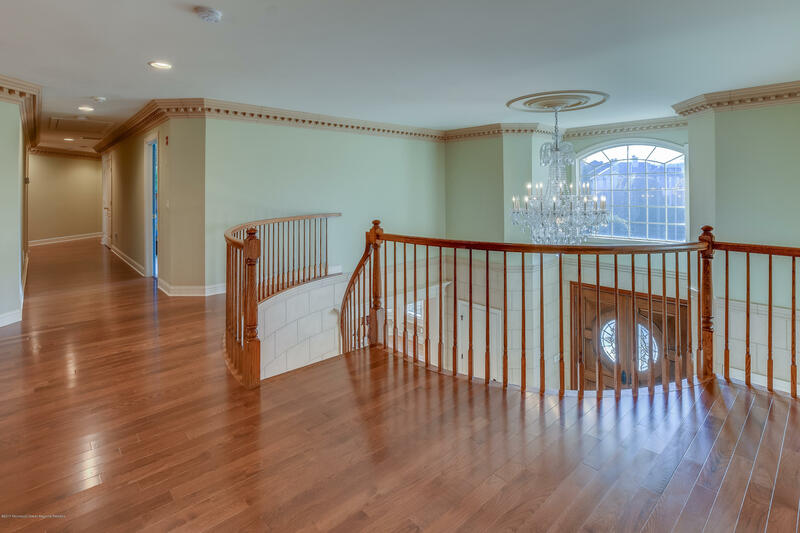 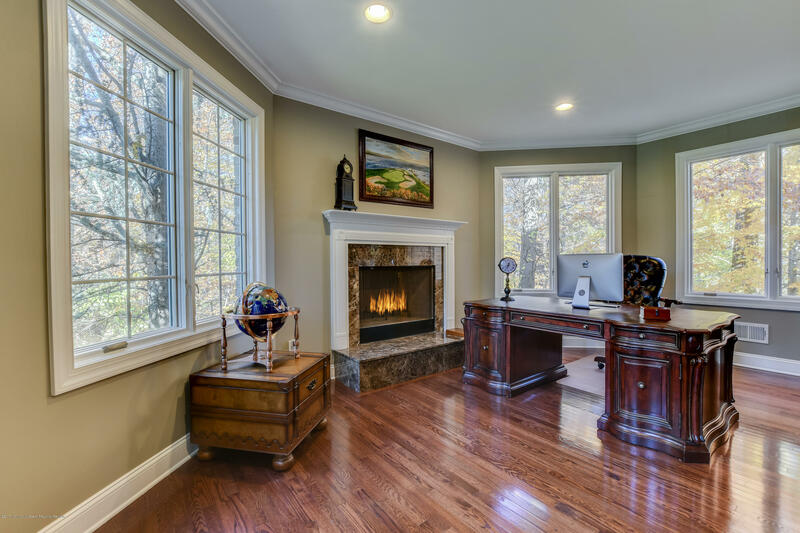 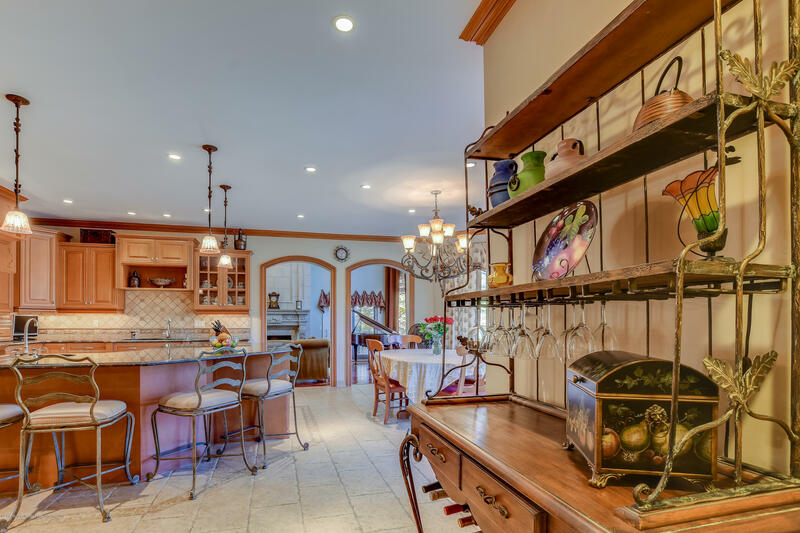 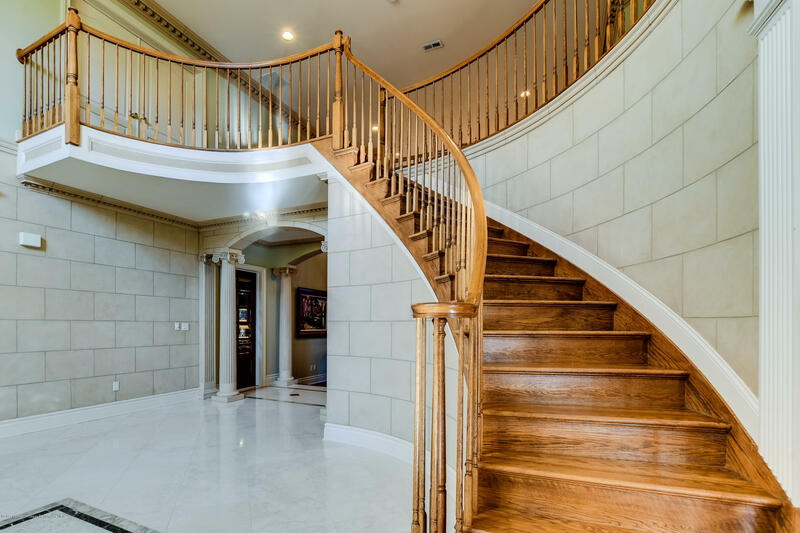 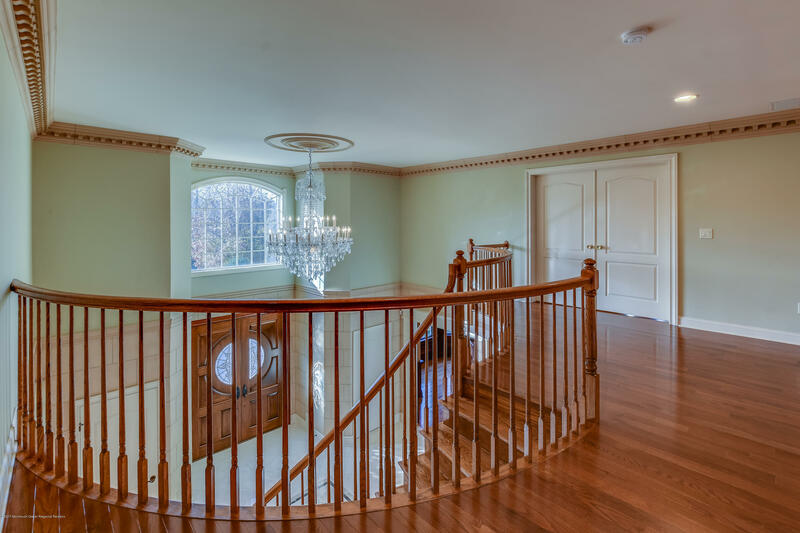 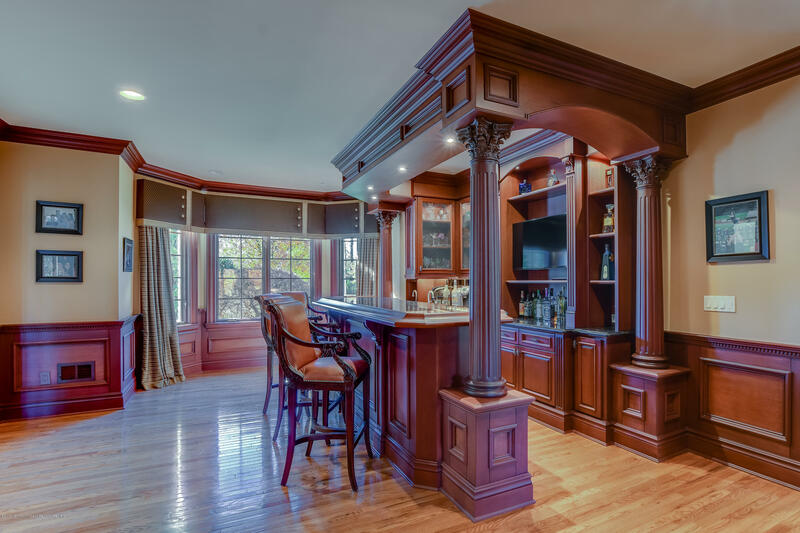 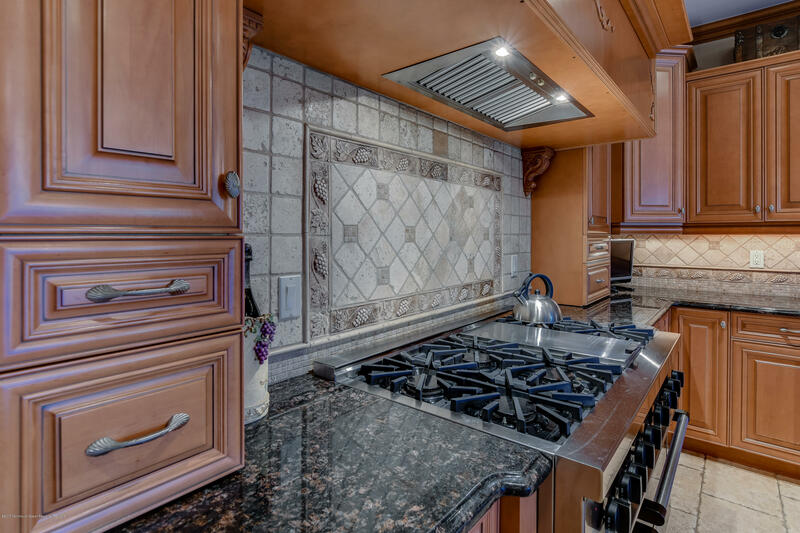 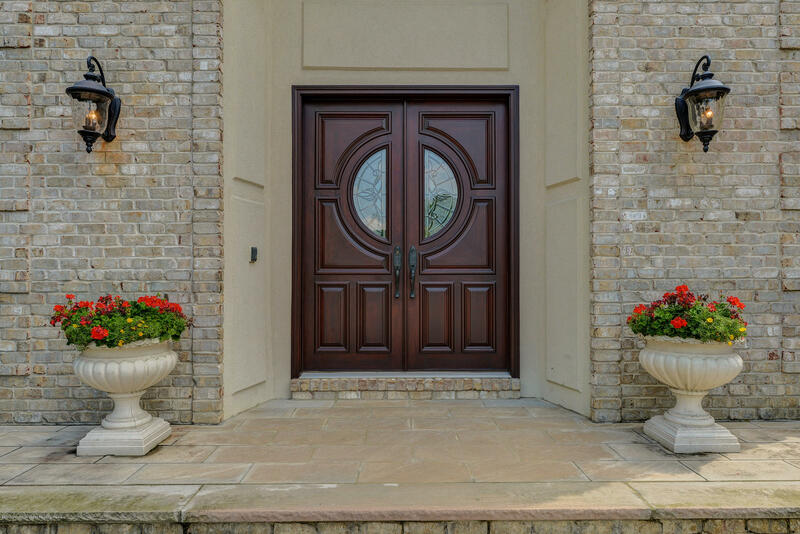 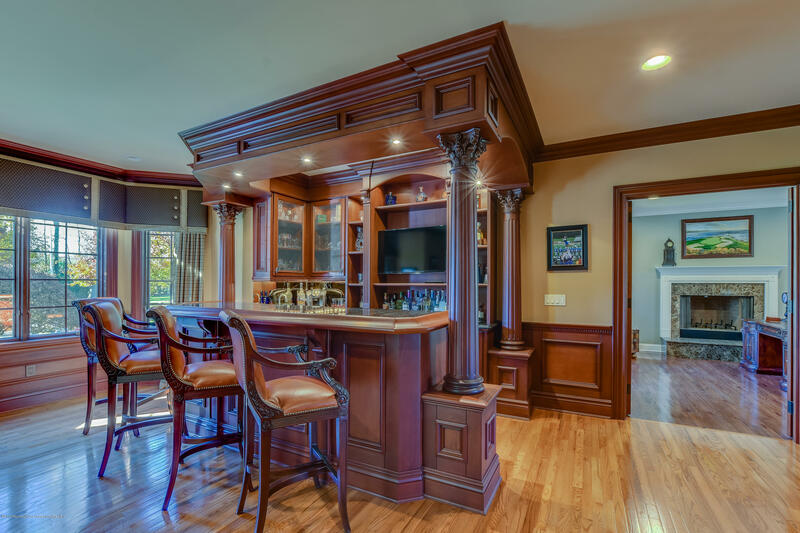 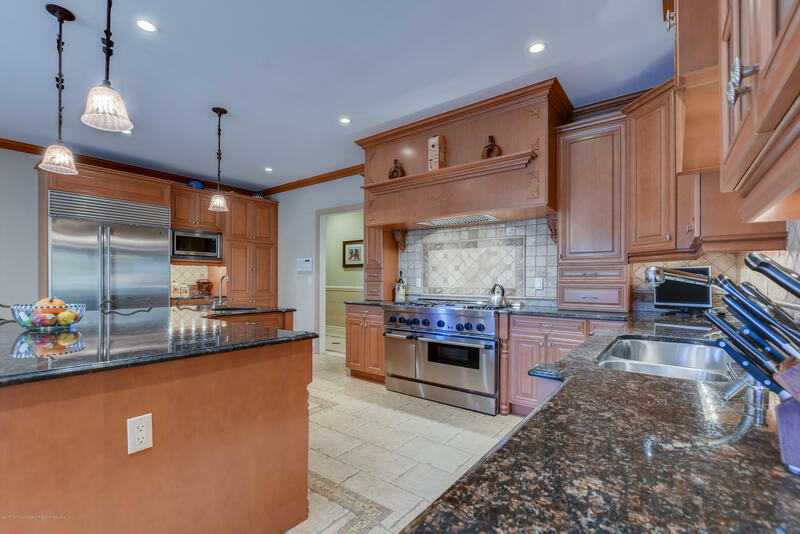 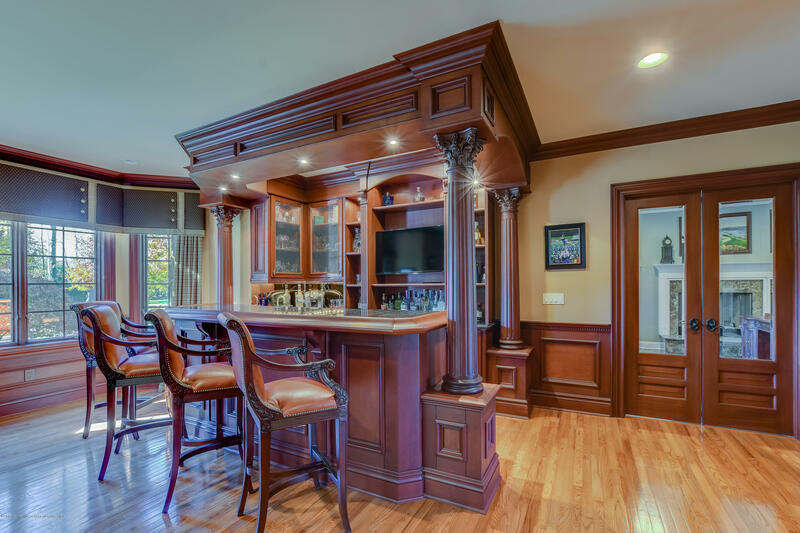 Grand, 2 story Foyer, impressive custom moldings throughout, striking, custom, mahogany wet bar, Brazilian Cherry wood floor in sunken 2 story Great Room, banquet sized Formal DR w/ tray ceiling and butler's pantry w/ wet bar, gourmet EI Kitchen w/ custom cabinetry & SS appliances. 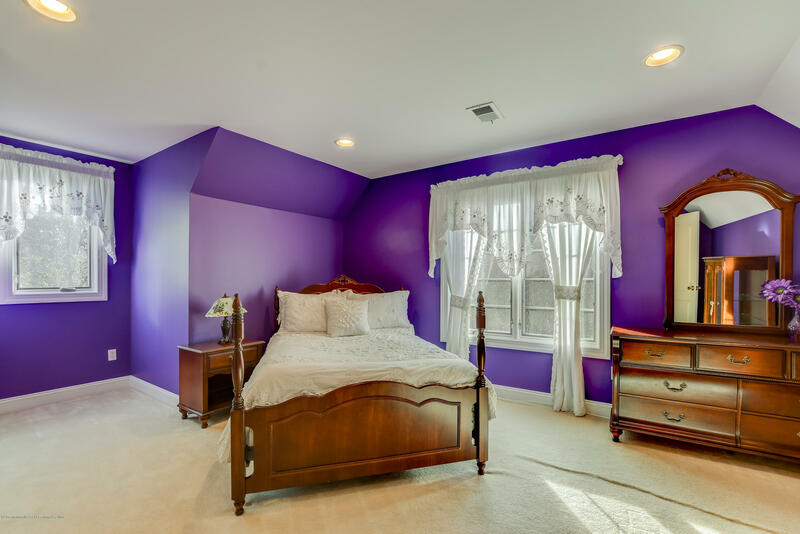 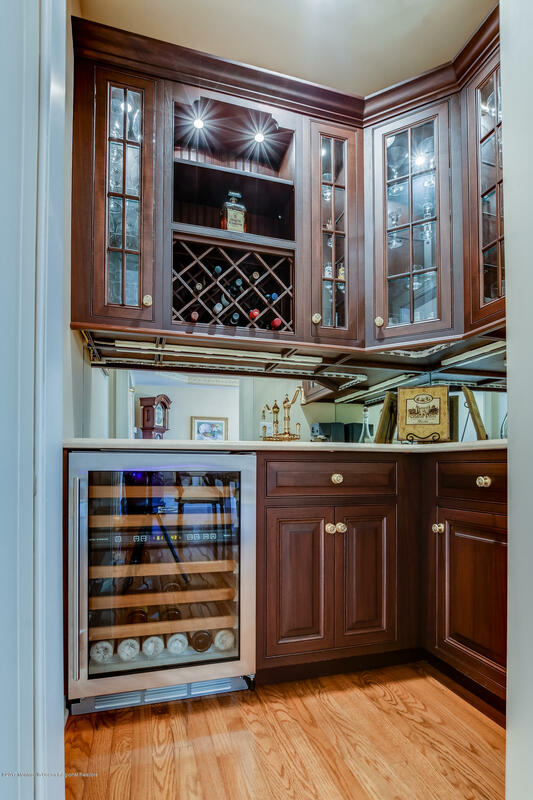 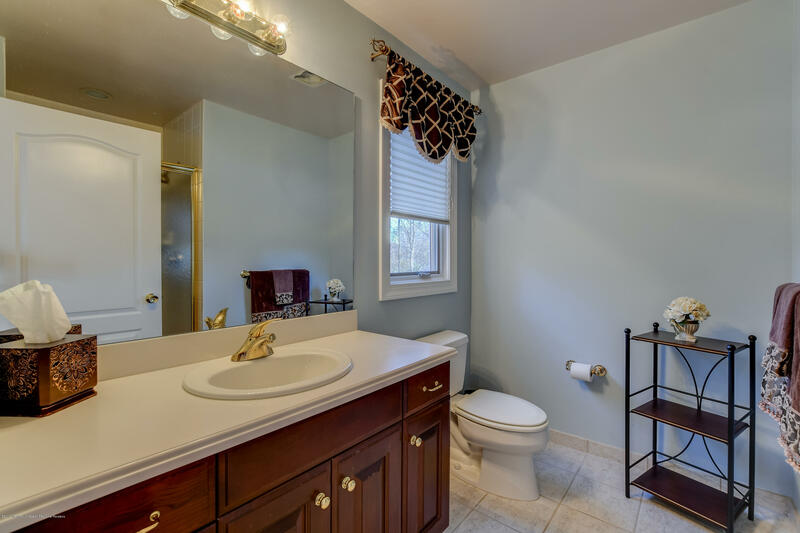 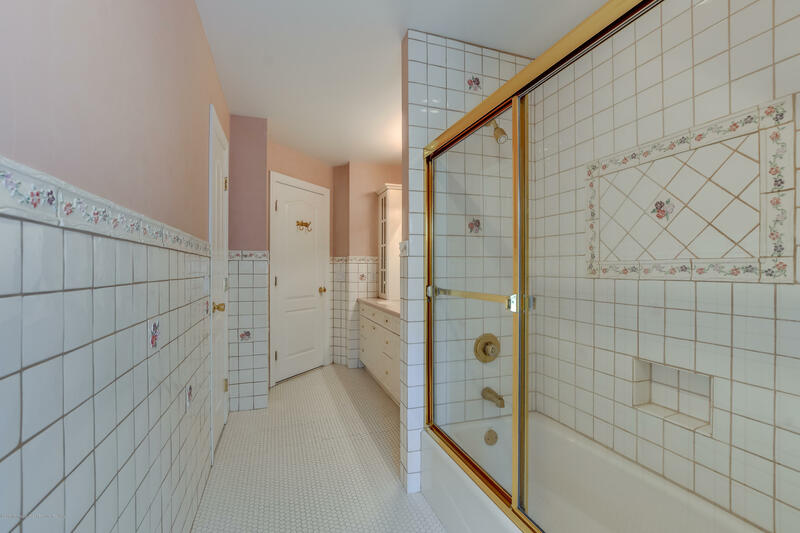 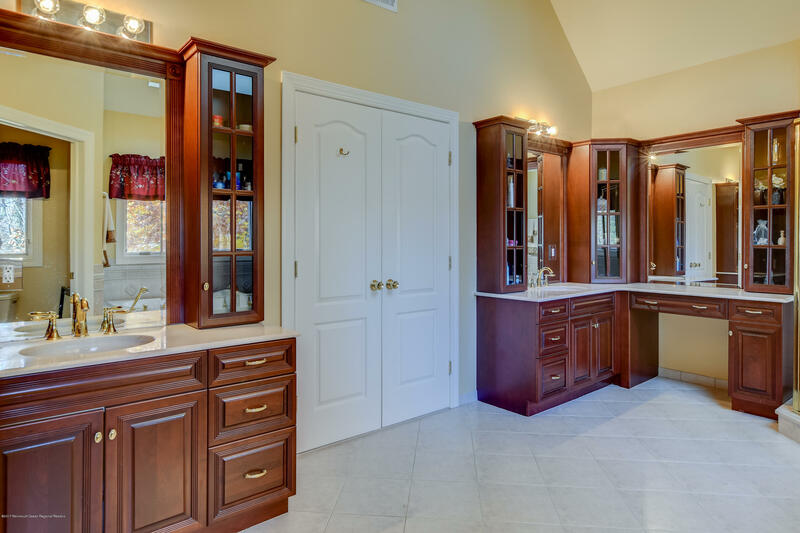 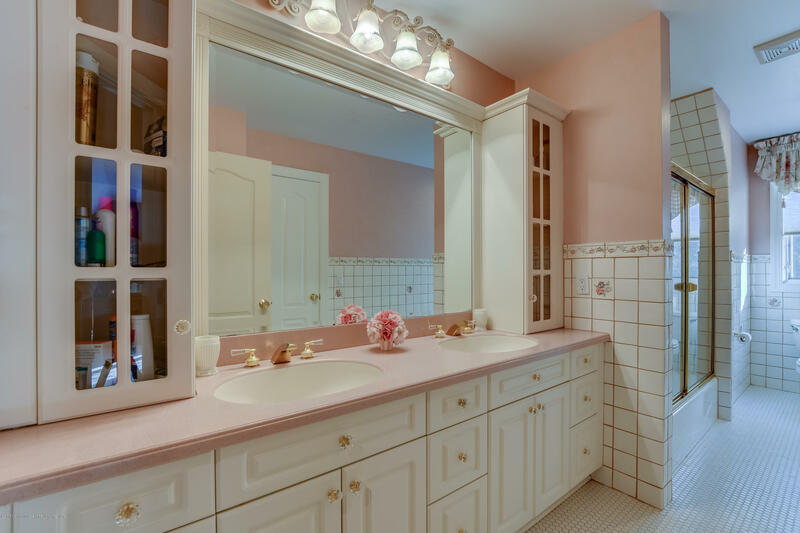 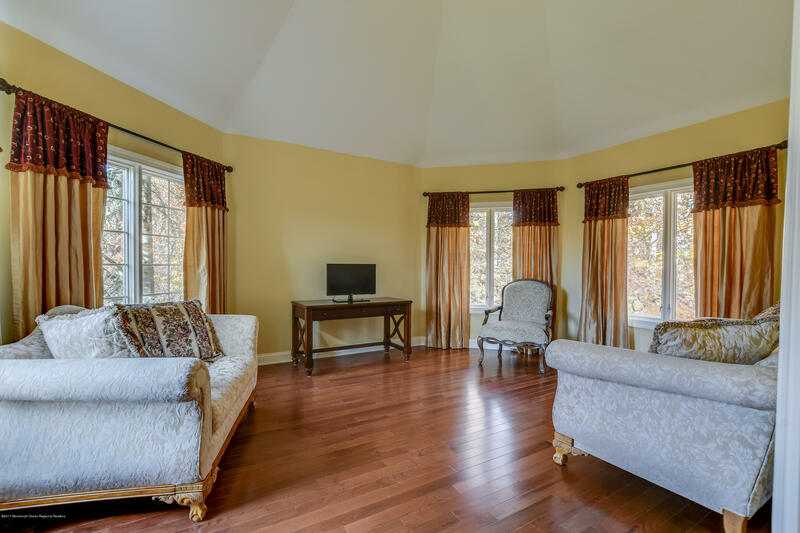 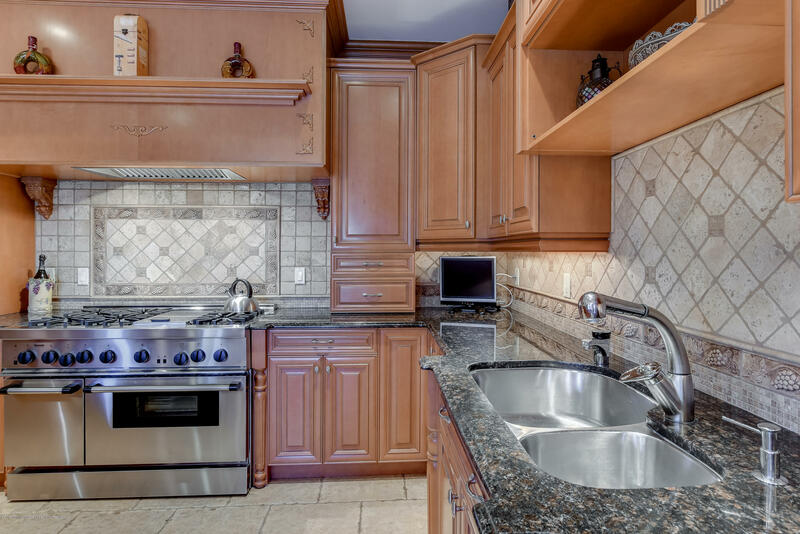 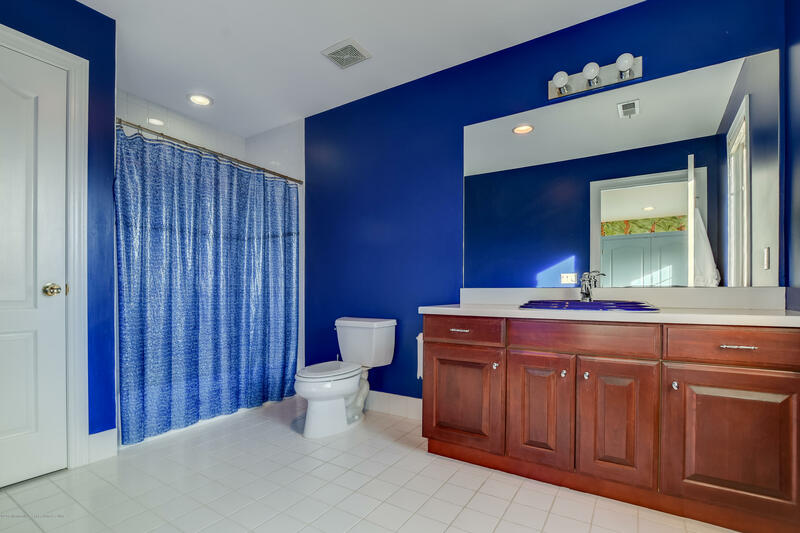 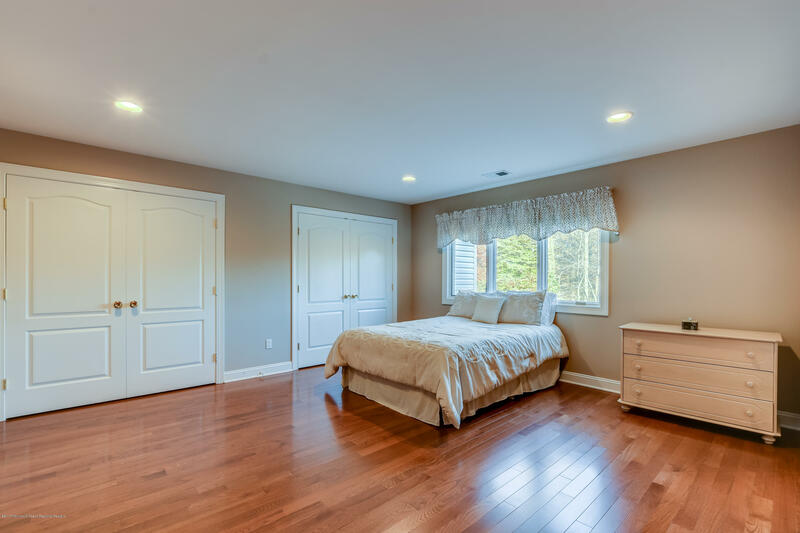 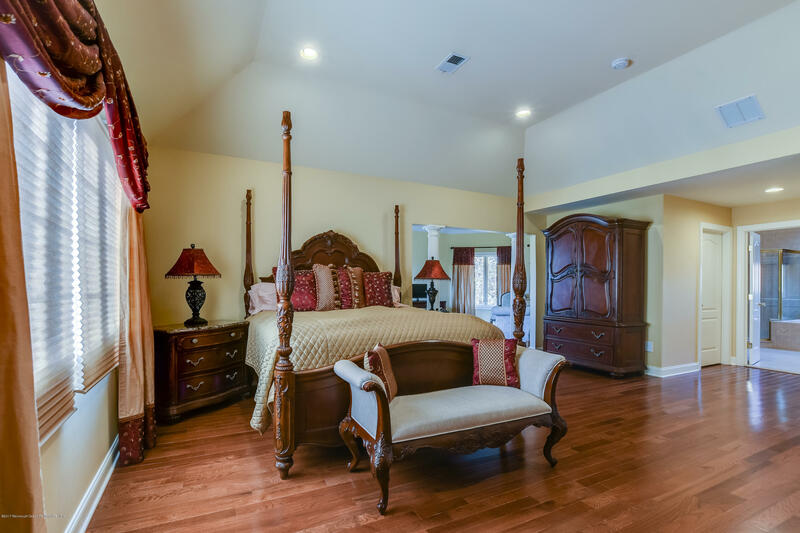 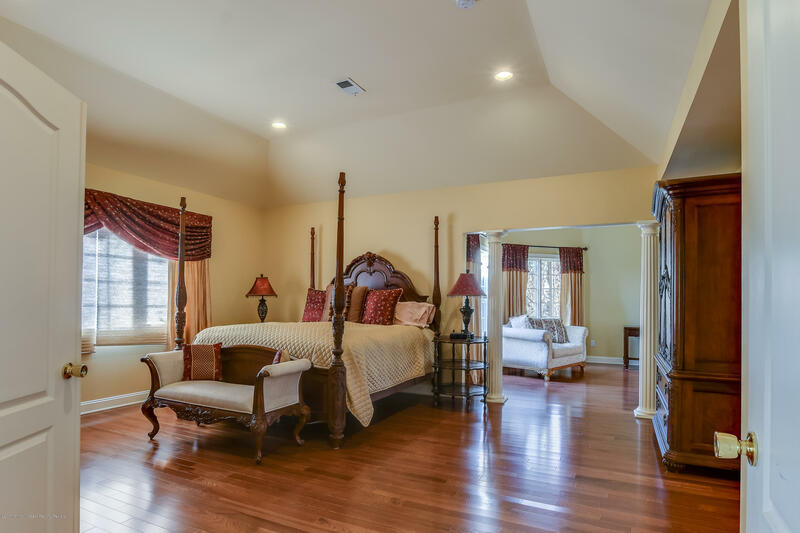 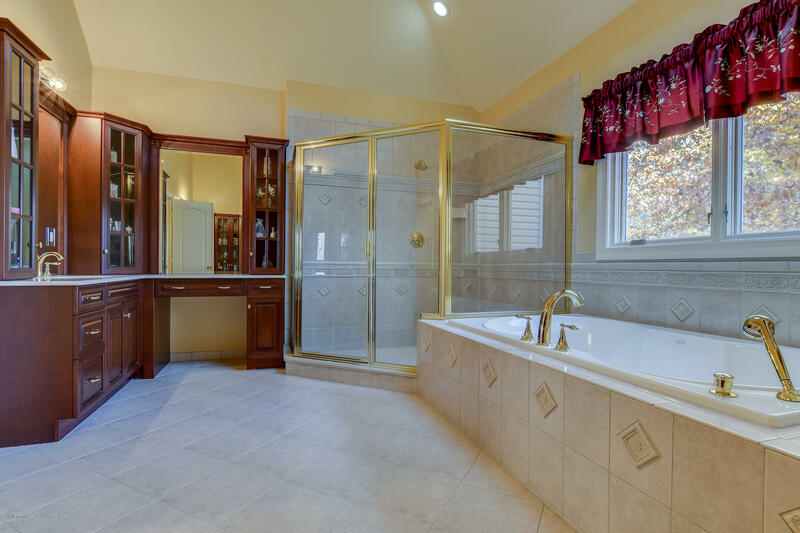 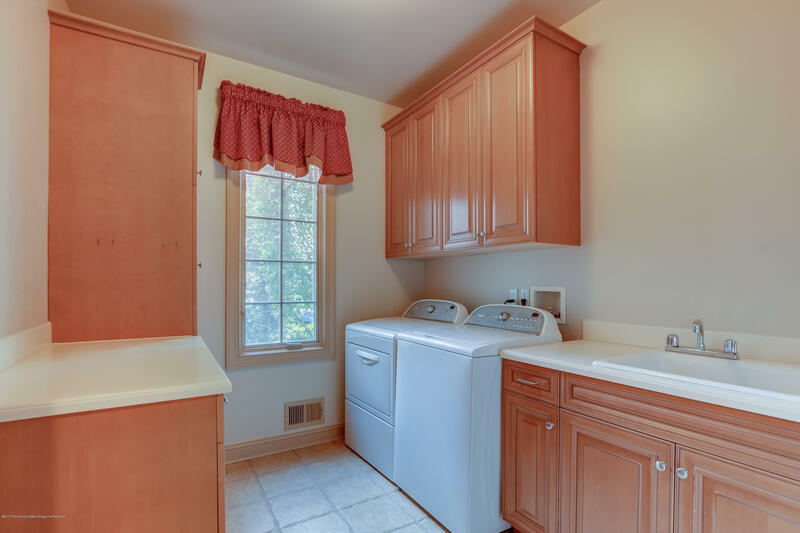 Second level includes luxurious Master Suite w/ 2 WI closets, sitting room, spacious Master Bathroom w/ his/hers sinks, shower, whirlpool tub and 4 additional bedrooms-2 w/ en suite bathrooms. 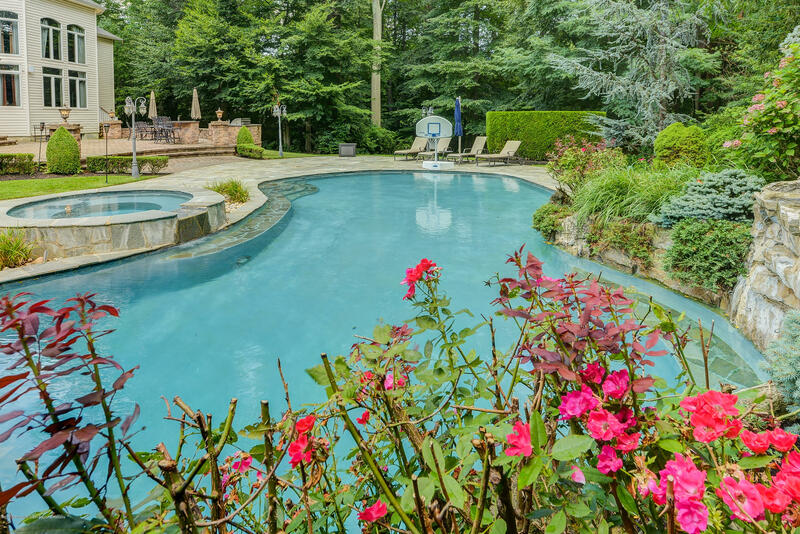 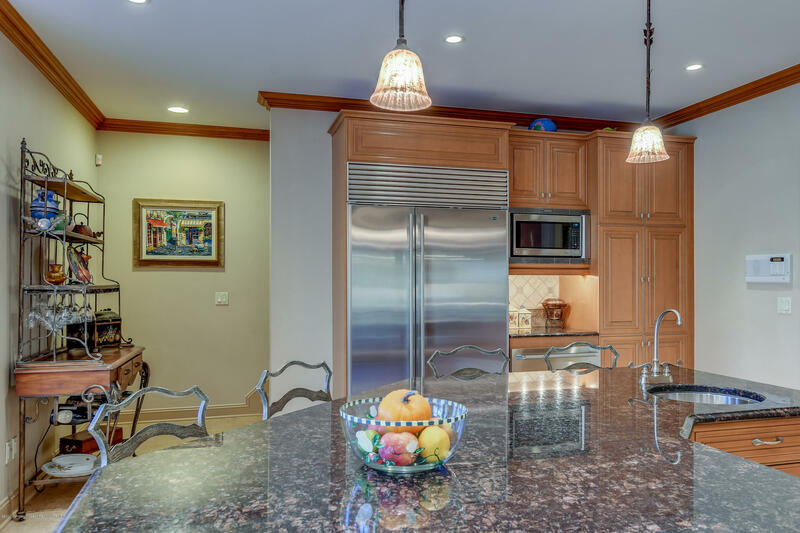 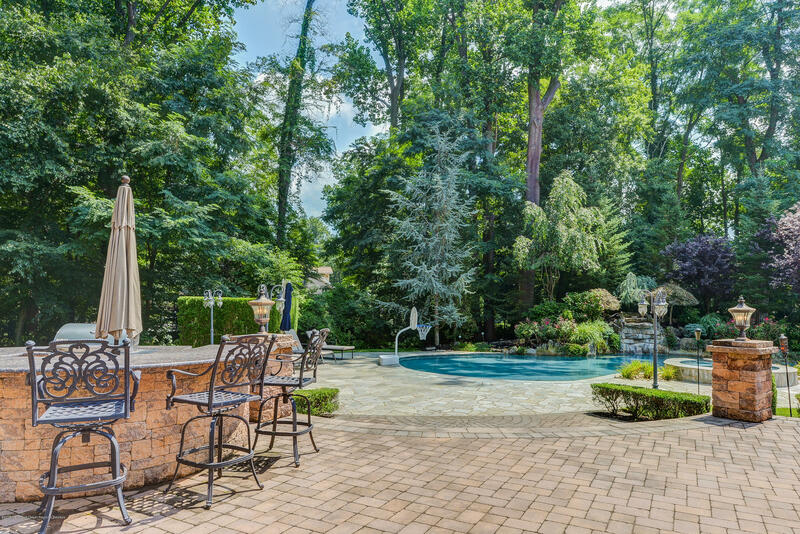 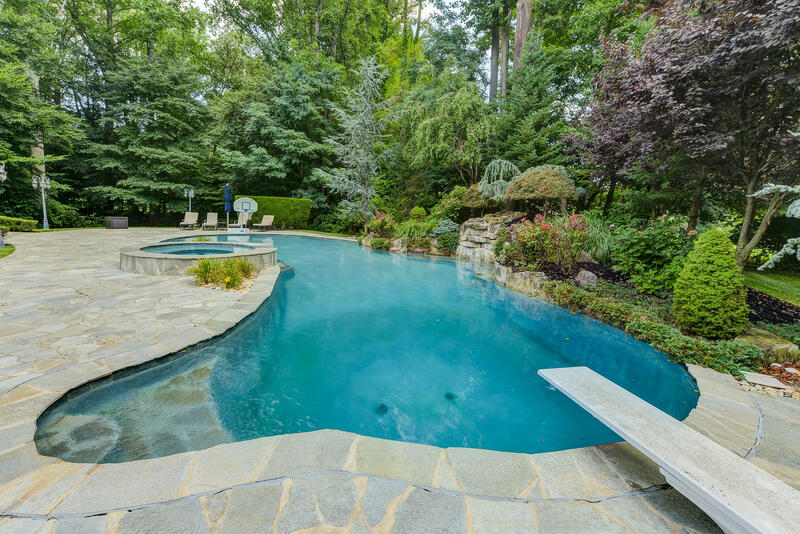 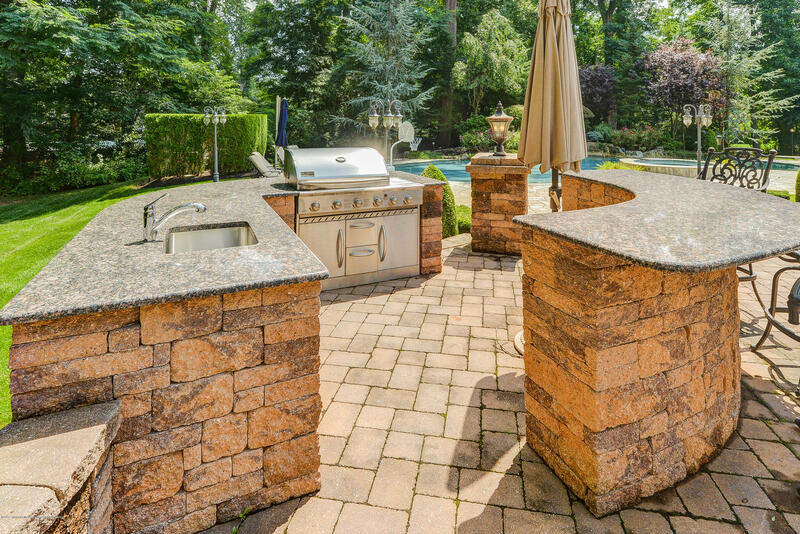 Enjoy your own private backyard, oasis w/ inground, heated, Gunite, pool & hot tub and waterfall, expansive paver patio w/ outdoor Kitchen granite counters & built-in grill. 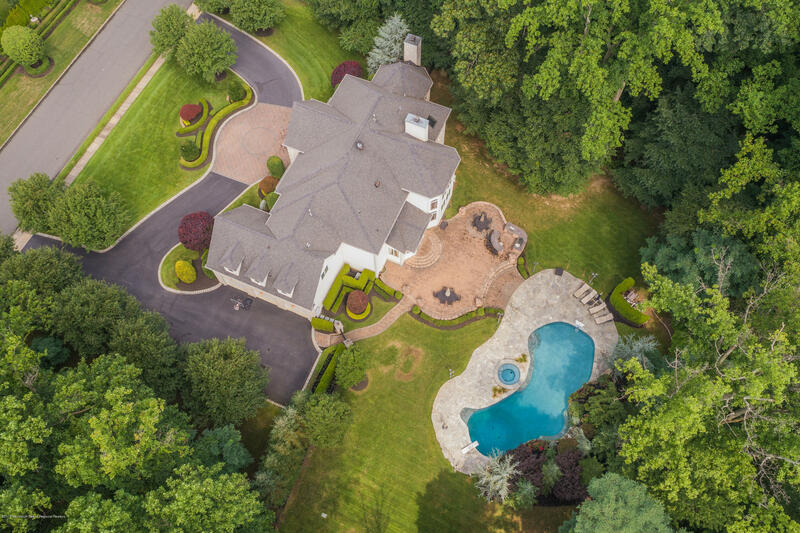 Excellent school system, convenient to NYC.